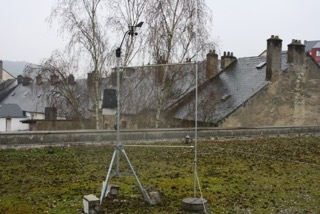 The weather station of the Windmobile project is a wireless Vantage Pro2 weather station made by Davis. 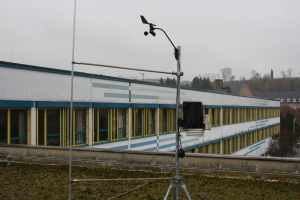 It has a long sensor range (standard 250m, with repeater up to 1.5km). 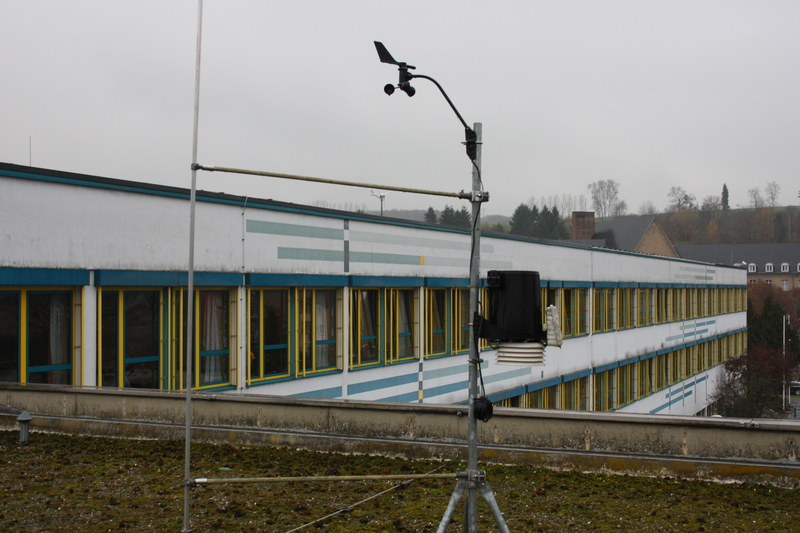 Standard sensors: inside and outside temperature, air humidity, air pressure, rainfall, wind direction, wind force. 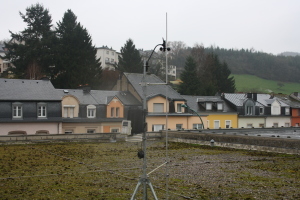 Solar radiation, ground moisture and leaf wetness measurement available as an accessory. In its basic version, the sensor unit already incorporates all the key sensors. It runs on solar power and can thus operate in a fully self-sufficient capacity. The energy consumption is so low that one hour of sunlight a day is enough to ensure the station can be reliably operated.